Classes meet, and are dismissed, between the Ski School Meeting Place and Flagpole in our base area (see individual group descriptions for more precise group meeting locations). Parents/guardians should bring their child(ren), ready to ski, to meet their coach at 9:20AM as all programs begin promptly at 9:30AM. All programs end at 2:30PM. Please pick up your child at their meeting place(s). We will only release children to their parent or guardian, unless prior arrangements have been made with the Ski School. LATE ARRIVALS: Please meet at the Ski School Meeting Place sign by the Sunnyside Double Chair for your class to come after their first run. LUNCH: If your child has NOT signed up to have lunch with the ski school program, please pick them up at their meeting place at 11:30AM and return them, ready to ski, at the same location at 12:30PM. PROPER ATTIRE: Your child should dress for the conditions with multi layers to keep warm & dry: Weather-resistant ski jacket, snow pants, long-underwear, ski socks (no cotton socks), mittens, hand and toe warmers, neck gator. Helmets are highly recommended for safety and warmth. Please make sure your child is prepared for all conditions they may encounter during the season. 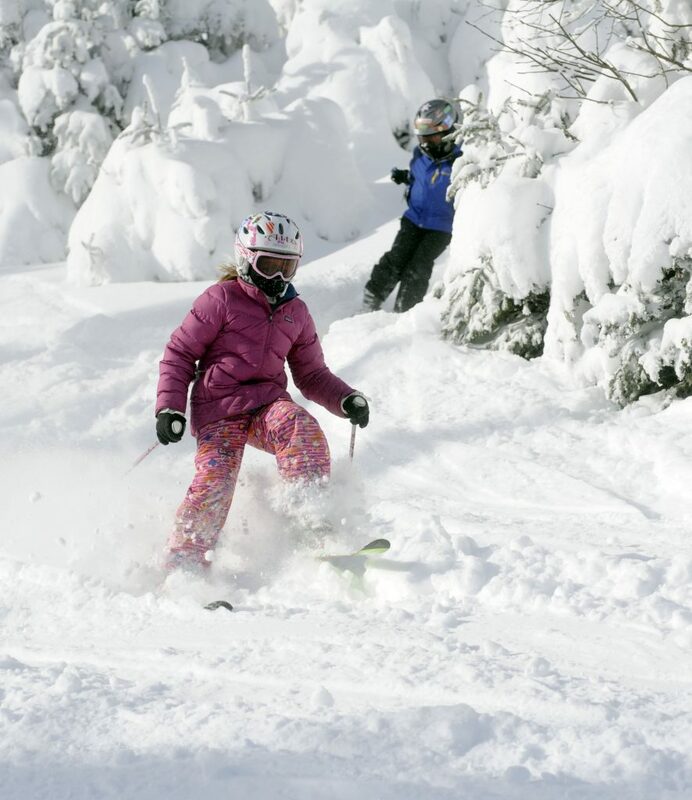 We reserve the right to keep a child off the slopes if, in our opinion, they are under, or inappropriately, dressed. Some things to keep in mind: Label all of your child’s clothing and accessories, including, helmets, mittens, neck gaiters etc. NO COTTON clothing should ever be worn while skiing, INCLUDING SOCKS. Children must have a neck gaiter or face mask and goggles so that no flesh is exposed on cold days. Remember, mittens are warmer than gloves. Please provide hand/toe warmers for your child on very cold days and as needed. EQUIPMENT: Skis should be properly fitted for the height, weight and ability of your skier. Please be sure to check with a qualified ski shop to discuss your child’s individual needs. Children’s bindings should be checked by a qualified ski shop at the beginning of every season to insure proper function and boot/binding compatibility. Please make sure your child’s boots fit properly (snug without pinch points or bunched fabric) and are properly adjusted at the beginning of each ski day. We will divide the program into classes at the start of the season based on an on-snow assessment. Skiers with similar skills and motivational levels will be grouped together. It is common that class make-up will change at the beginning of the season, as children find their ski legs and comfort level. We respectfully ask that parents/guardians NOT ski where they can be seen by their child(ren). Your help getting youngsters up the chairlift cannot be overstated. However, when children can see their parents/guardians during class, the group teaching dynamic can be compromised. We sincerely appreciate your help with this issue. STAMINA: All-day groups ski for four (4) hours. The minimum amount of time our groups ski is for two (2) hours (9:30am-11:30am or 12:30pm-2:30pm). We do incorporate breaks, but keep in mind this can be a long stretch of ski time, especially for the younger skiers. 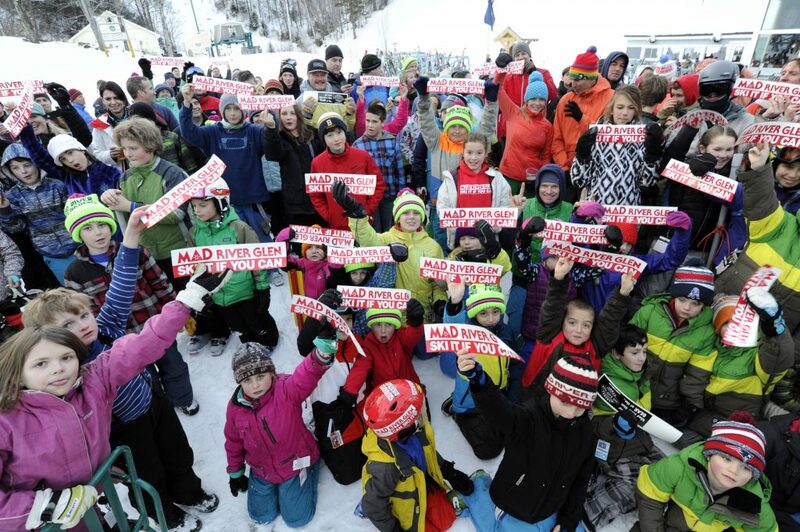 At the beginning of the season, the younger skiers may not be able to endure a full day. We may ask you to pick up your child at/after lunch, if they are fatigued. COMFORT: We do our best to have the same children ski together from week to week. In addition, we will assign the same coach to a group for the season. Illness or other conflicts may require a coach change. If your child misses days, they may fall behind. Keep us informed on how your child feels in their group. FIT: We constantly assess your child’s progress. If we feel they have improved enough to “move up,” we will have him/her join the next level group. When thinking about the best group in which your child will fit, be conservative. It is easier to “move up” than to “move down” and a slightly less advanced group can still work on very important fundamentals further strengthening your child’s ability. LIFT-READY: Lift-ready means your child can stop independently and link turns. Our policy is to have all Chipmunks ride with an adult (ski instructor, patrol, or volunteers from the lift line). For Panthers, unless we hear from you that you have concerns about their lift riding ability, we will likely pair them up with another child.